Hook Cleaning Services’ founder, Tim Colenutt, chooses Prochem cleaning products and machinery time & time again. Find out more about why right here. As a cleaning professional, I am always looking for new and innovate ways to improve our cleaning and provide a superior quality service for our clients. For that reason, from the very beginning, Prochem Europe has been at the core of our business. In 2007 I went to Prochem to complete a carpet cleaning course and it was here I gained my first knowledge and experience of carpet cleaning, the risks involved, the vast possibilities and the knowledge I needed to start my own premium service. We started using the Prochem Steempro Powerplus (SX 2700), with a heat and run in-line heater. The machine boasts big fresh and dirty water recovery, quality vacuum motors, a pump which performed day in day out – basically it’s a machine that never let us down. We’ve used this machine for many years cleaning carpets in homes, businesses, restaurants and more! In 2010, it was time to upgrade to truck mounted equipment. Luckily I had a number of options to choose from – Prochem was an hour away, just down the road, and the training, support, and machinery I had come to know was outstanding. It was only natural for me to choose the Prochem Blazer XL. This small, entry level truck mount was the perfect addition to my business at Hook Cleaning Services. In fact, it was just what the company needed to progress to the high-end services we offer today. The powerful vacuum, hot cleaning solution, faster drying times and less operator down-time were some of the immediate benefits we noticed when we upgraded from Prochem’s portable equipment to truck mounted cleaning. 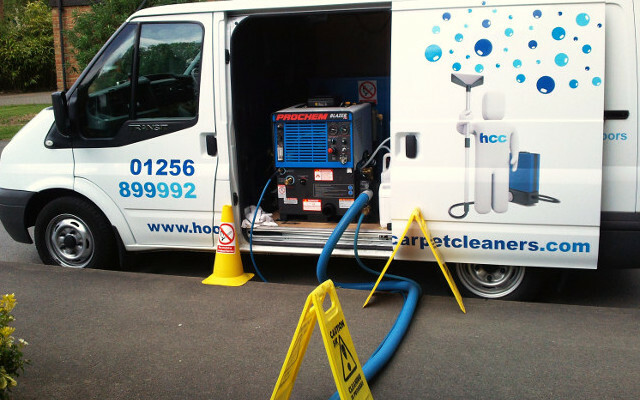 Using Power Burst as a pre-spray, combined with the heat of the truck mount and an acid Fibre & Fabric Rinse – we had all the power we needed to clean through even the dirtiest of restaurant carpets. As the business expanded again, a second van was put on the road. We purchased a newer version of the Prochem Blazer – the Prochem Blazer GT. Although we expected great things from this machine, it really did surpass our expectations. It offered greater heat, more vacuum and quicker drying times – all noticeable improvements of the Blazer GT. Now, complete with sub-mounted fresh water, we were self-sufficient. This led us to be able to offer carpet & upholstery cleaning without needing to use our client’s water supply. 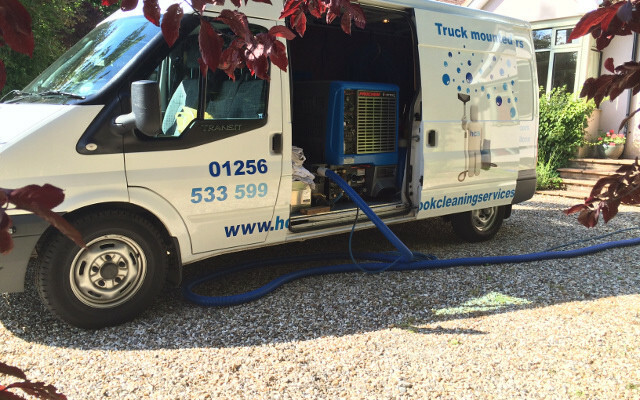 As with many carpet cleaning companies, we are often asked about what other services we offer. 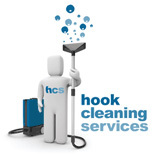 Today, Hook Cleaning Services considers itself to be an expert company which provides outstanding cleaning of carpets, upholstery, textiles, rugs, tile, grout and natural stone throughout the south of England. In March 2013, we decided it was time to show our customers that we were serious about providing the best service and delivering the best possible results. We were looking for a truck mounted cleaning machine capable of delivering constant, high pressure hot water for the deep cleaning of tiled floors. Not only this, some of our jobs needed more than one machine in order to complete the work in a timely manner. Having a dual operator truck-mount was something I had never needed to consider before. Now, I could understand the benefits of greater performance from one vehicle, as well as reducing fuel/transport costs as only one van was needed. When researching and looking for our ultimate truck mounted equipment, I tried a number of high-end machines from various manufacturers. In the end, we came back to our roots. Our truck mounted cleaning machines from Prochem had never let us down. In fact, apart from regular servicing, our truck mounted cleaning equipment from Prochem have never broken down, or been off the road. It was this reliability that gave me the confidence to buy Prochem again for the third time. Introducing the Prochem Everest 408HP – a twin-operated carpet, upholstery, tile and grout cleaning machine. You’ve probably heard of it as a steam cleaner by many of our customers because of the heat produced. Carpet cleaning is often misunderstood to be steam cleaning. FACT: It isn’t! It’s just the hot water producing a steam vapour. As an expert cleaning company, we don’t use steam because we understand the potential problems that can occur from using steam or water at too high a temperature to clean carpets. The Prochem Everest leaves hard surfaces dry to walk on immediately and some carpets naturally dry within as little as 30 minutes. That’s performance that we’ve never seen or experienced before. Prochem has, by far, been the ultimate purchase for Hook Cleaning Services. We have regular cleaning contracts with offices, hotels, restaurants and bars with a variety of floor surfaces. From dual wand carpet extraction to upholstery and textile cleaning, or pressure cleaning of internal or external hard floor surfaces – the Prochem Everest is the all-in-one machine that boasts the power and ability we need to get the job done every time, to a refined premium standard. For me, Prochem has my vote every time. When we need another machine I won’t hesitate to go back to them. Prochem have hit the nail on the head for reliability, performance, and engineering. So thank you, Prochem Europe, for delivering quality products consistently and helping my business deliver outstanding results to my customers. To make the most of our outstanding services give us a call today on 01256 53 599.